Belinda and I had the pleasure of spending a few days in Orlando to attend the Raymond James Investment Advisors Division Conference. While Orlando may be known for theme parks and sunshine, we hunkered down with fellow advisors and went to work for two solid days. 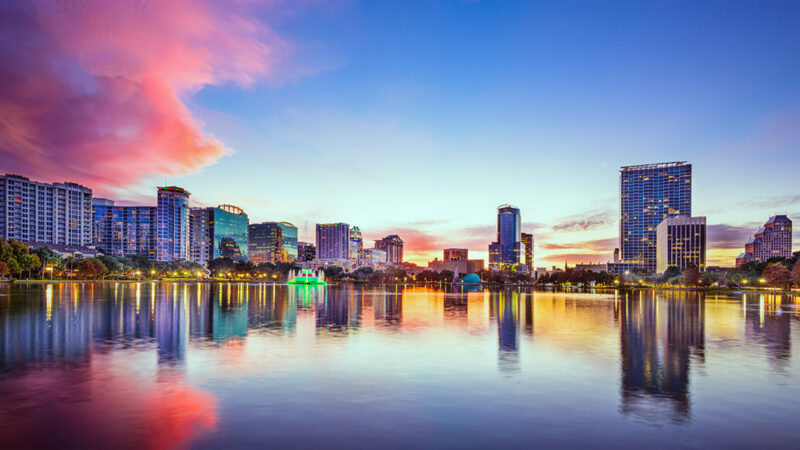 Conferences like these provide us with opportunities to interact directly with Raymond James divisional management teams and key departments through general sessions, breakouts and intensive workshops that feature ways to better serve clients like you. An example of a growing trend we learned about is Ethical Wills. These documents bequest values, experiences and lessons to children and loved ones, setting the stage on how you want them to remember you while managing the assets you’ve passed on. Ideally, this type of will communicates a legacy to future generations, celebrates your values and helps avoid disputes. From a market standpoint, we enjoyed a detailed presentation on the current bull market and its likely span from Jeff Saut, Chief Investment Strategist at Raymond James. Several other executives shared their unique perspectives as well, offering a treasure trove of knowledge from world-class minds with expertise in our industry. While our stay in Orlando was brief, the knowledge we gained continues to boost our wealth management services. ©2018 Capital Developers LLC dba Milestone Wealth. Capital Developers, LLC dba Milestone Wealth is registered as an investment adviser and only transacts business in states where it is properly registered, or is excluded or exempted from registration requirements. Registration as an investment adviser does not constitute an endorsement of the firm by securities regulators and does not mean that the adviser has attained a particular level of skill or ability. This website is a publication of Capital Developers, LLC dba Milestone Wealth. Information presented is believed to be factual and up-to-date, but we do not guarantee its accuracy and it should not be regarded as a complete analysis of the subjects discussed. All expressions of opinion reflect the judgment of the authors on the date of publication and are subject to change. Content should not be viewed as personalized investment advice or as an offer to buy or sell the securities discussed. A professional adviser should be consulted before implementing any of the strategies presented. All investment strategies have the potential for profit or loss. Different types of investments involve varying degrees of risk, and there can be no assurance that any specific investment or strategy will be suitable or profitable for a client’s investment portfolio. Historical performance results for investment indexes and/or categories, generally do not reflect the deduction of transaction and/or custodial charges or the deduction of an investment-management fee, the incurrence of which would have the effect of decreasing historical performance results. There are no assurances that a client’s portfolio will match or outperform any specific benchmark. The adviser may recommend the purchase of insurance-related products. David Hunt and Belinda Butler are licensed insurance agents with various insurance companies and may receive additional compensation for such transactions.